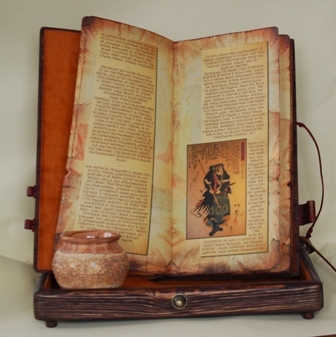 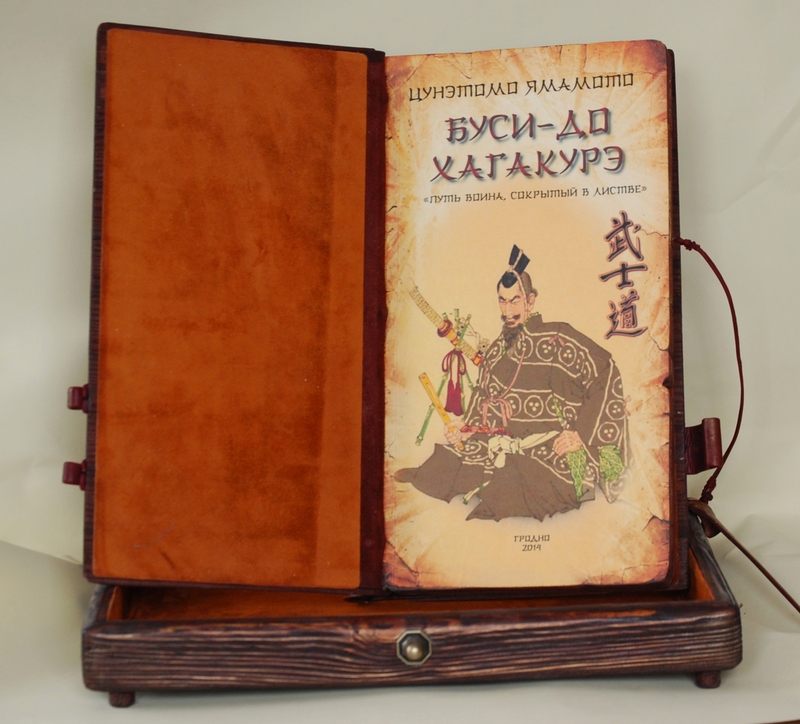 The book is printed on textured paper, sewn, cut and bound by hand. 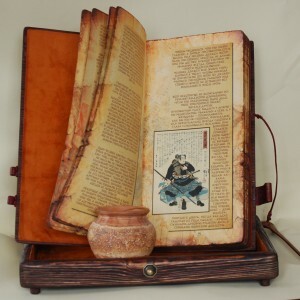 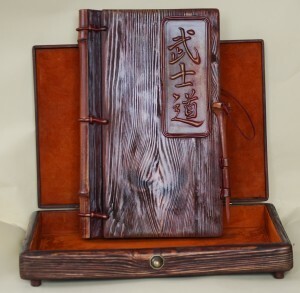 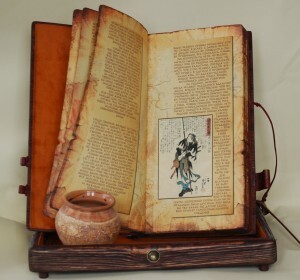 Binding is manufactured from wood using high- and bas-relief stamping on the leather. Additional printing of the book is available on order. 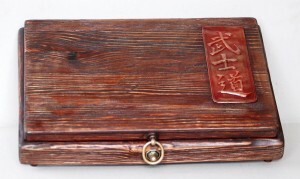 It has a collection value. Size 20×35 cm.